Rooms at traditional onsen ryokans are typically Japanese-style room, or “washitsu” in Japanese, covered with tatami (Japanese floor mat). Washitsu is different from western rooms in many ways, and has a lot of interesting features influenced by ancient Japanese culture. 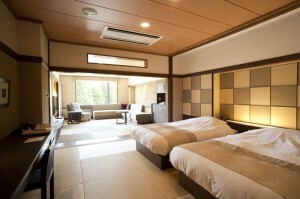 Staying at a tatami room is a great way to experience the daily life of Japanese people. This article is a thorough explanation of washitsu with illustration. Foyer is the space where you take off your shoes or slippers. Just like entering a Japanese house, guests of onsen ryokans are requested to take off their footwear at the entrance. At many traditional ryokans, you have to take off the shoes and put on slippers at the entrance of the ryokan, and then take off the slippers at the guest room’s foyer. However, more and more ryokans allow wearing shoes outside the guest room. At those ryokans, you are required to take off your shoes at the room’s foyer. 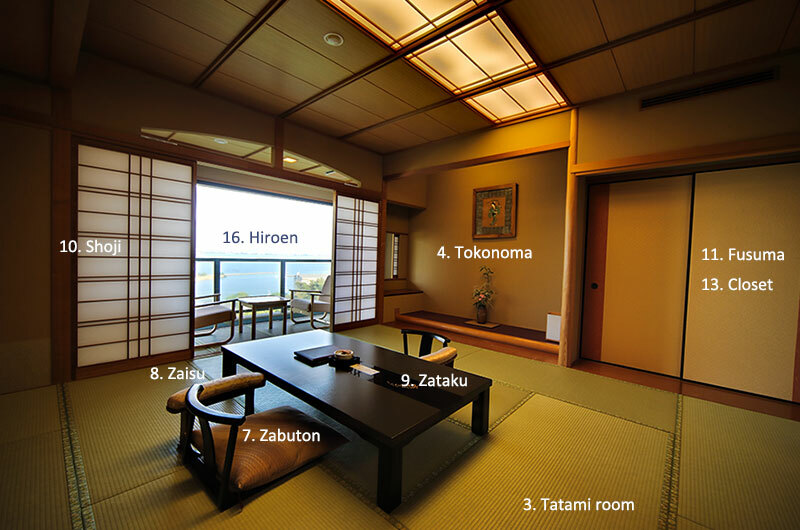 The area covered with tatami has all the functionality of living room, dining room and bedroom. 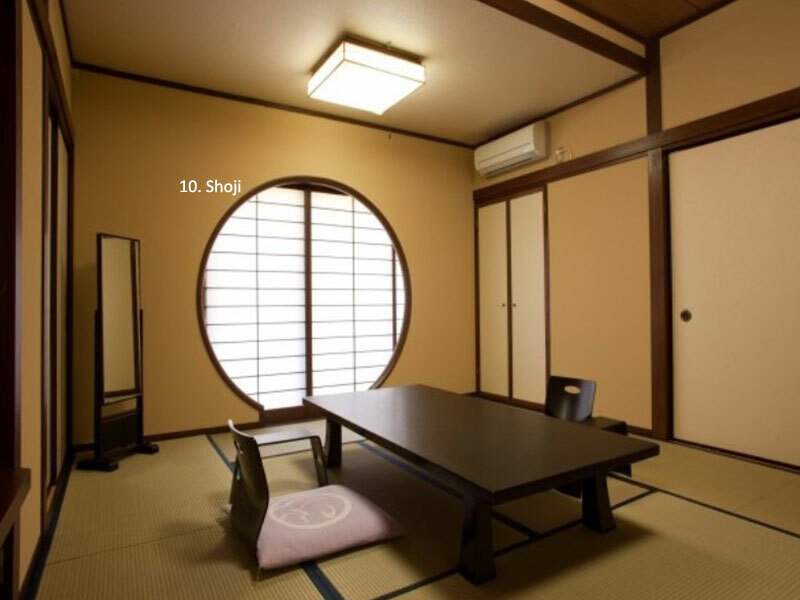 Sizes of tatami rooms are different from one and another, and are measured by the number of tatami mats actually used. The size of washitsu is described as “6-jo” (a room covered with six pieces of mats. Jo is another pronunciation of tatami), 8-jo, 10-jo, et cetera. Tatami mats are made of rush, and are usually rectangular in shape. You can even smell the pleasant aroma of natural rush while staying at a tatami room. Washitsu usually has a slightly raised alcove called tokonoma. It is a recessed space in which a hanging scroll of painting or calligraphic work is displayed. Sometimes, you will find a framed picture or writing instead of a hanging scroll on the wall. In many cases, there is also an ornament of fresh flower arrangement, called ikebana in Japanese, at tokonoma. This alcove is the space designed to add an out-of-the-ordinary and festive element, called “ha-re” (the sacred) in Japanese folklore, to the room. Instead of western tables and chairs, Japanese-style cushions (zabuton), legless chairs (zaisu), and a low table (zataku) are placed in a washitsu. You should put the zabuton under your hips (and knees and legs too, if you perform seiza, which is a traditional way of sitting by kneeling on a flat surface and folding yours legs underneath your thighs) when sitting in a washitsu. You can sit back on your haunches in a zaisu, which has a sitting face and a backrest instead of legs. Zaisu can also support the posture of seiza. Zataku is a low table for people sitting on zabuton and zaisu. Shoji is a window-like paper structure fit into a wood frame, designed to let in light. Traditional Japanese paper called washi, which is thinner and softer than foreign papers, is usually used. Unlike normal windows, the delicate washi can be easily destroyed by exerting a force to it, so please be careful when you are near the shoji. Fusuma are vertical rectangular panels which can slide from side to side to redefine spaces within a room, or act as doors. Different from western drawers, closets or doors, they consist of a lattice-like wooden understructure covered in cardboard and a layer of paper or cloth on both sides, as well as pulls and a frame which you can grip and use to slide the fusuma. In a washitsu, oshiire (Japanese-style closet) is the place for storing futon (traditional Japanese bedding) and other items. Typically, oshiire is wedged between walls on two sides, with fusuma on its front face. In most cases, you don’t have to take out the futon from the oshiire and spread it on tatami by yourself, because chambermaids called “nakai” will set everything up when you are having dinner outside the room. So please don’t be surprised and anxious about burglary when you see the prepared futon after returning to your room. That said, you should keep valuables in your possession, put them in the safe in the room, or leave them at reception. 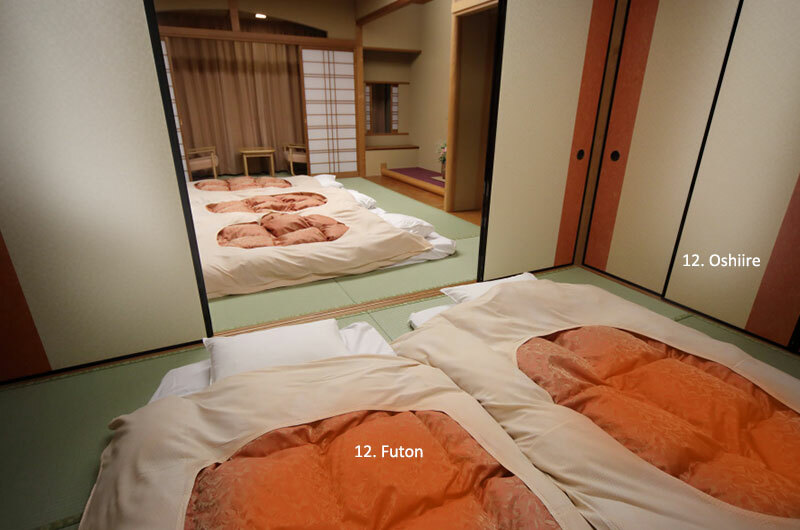 A futon set consists of a mattress (shikibuton) and a duvet (kakebuton). Shikibuton, wrapped by a sheet, is spread on tatami, and then covered by kakebuton. You can put a blanket on the kakebuton, or use more kakebutons in winter. If you have breakfast in your room in the next morning, a nakai will come and put away the futon for you, so you can leave the futon intact after wakeup. Casual summer kimono called yukata is usually stored here. During your stay at the ryokan, yukatas are basically provided with no extra charge. Putting on the comfortable and classical yukata, and enjoying a stroll outside your room and the ryokan is a wonderful cultural experience. You can also put your clothes in the closet, after changing into yukata – it’s a reasonable design for yukata fans. 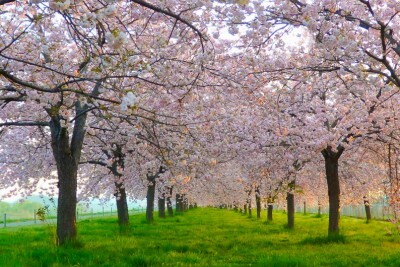 Hiroen is a Japanese word meaning “wide engawa”. Engawa is an edging strip of non-tatami-matted flooring outside the tatami room, and is a space unique to Japanese houses. It can be understood as a form of Japanese-style veranda. 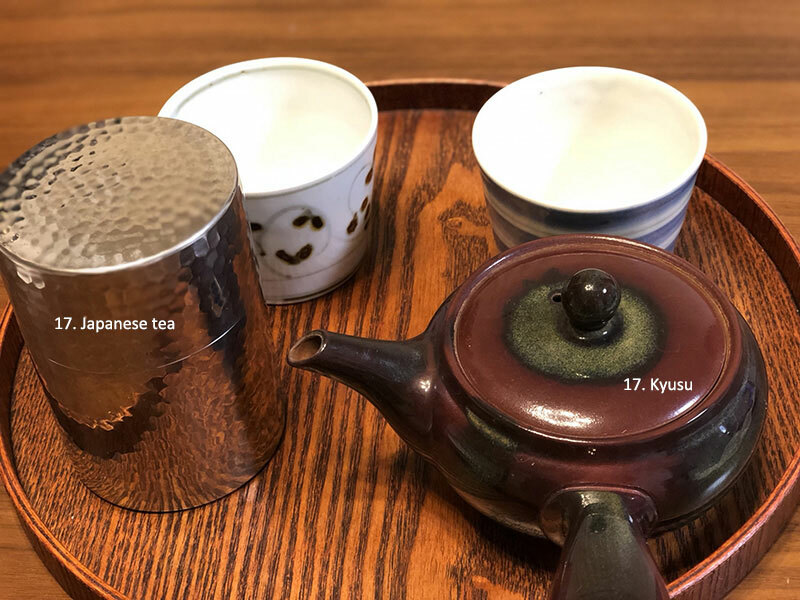 You can find Japanese tea and kyusu (traditional Japanese teapot) on the zataku in a washitsu, and can use them to have a nice teatime at no charge. 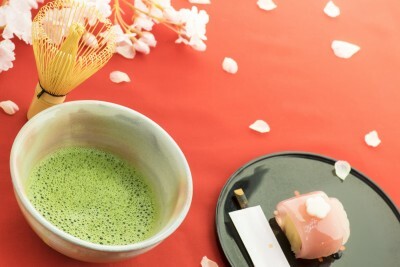 You can also ask ryokan staff to add more tea for you. In order to meet the needs of foreign guests and the younger generations, more and more onsen ryokans provide not only pure Japanese rooms, but also rooms with both Japanese and western characteristics. 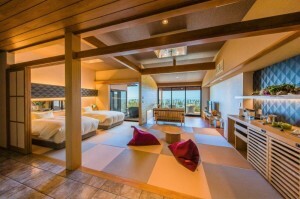 These hybrid rooms mix traditional features like tatami, hiroen and shoji, with modern design. 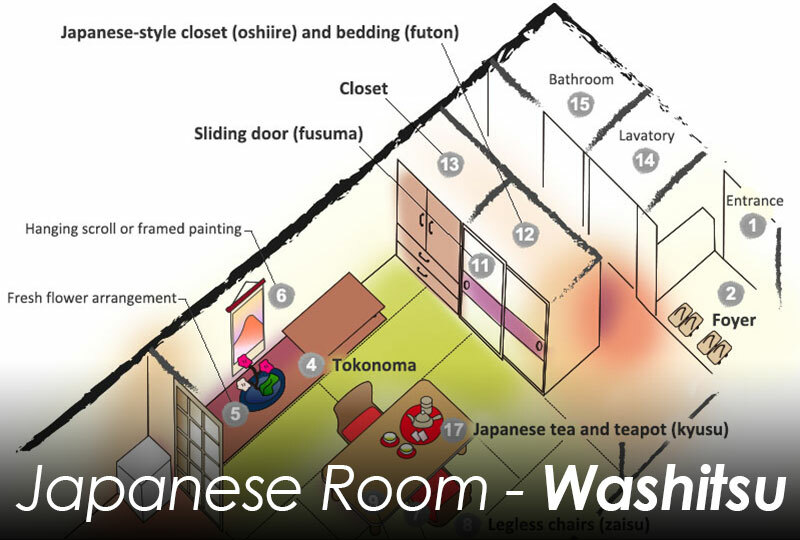 There is a type of rooms called “wa-modern” (Japanese modern) where Japanese and western styles are blended in harmony. They may have beds and other western furniture placed on tatami. 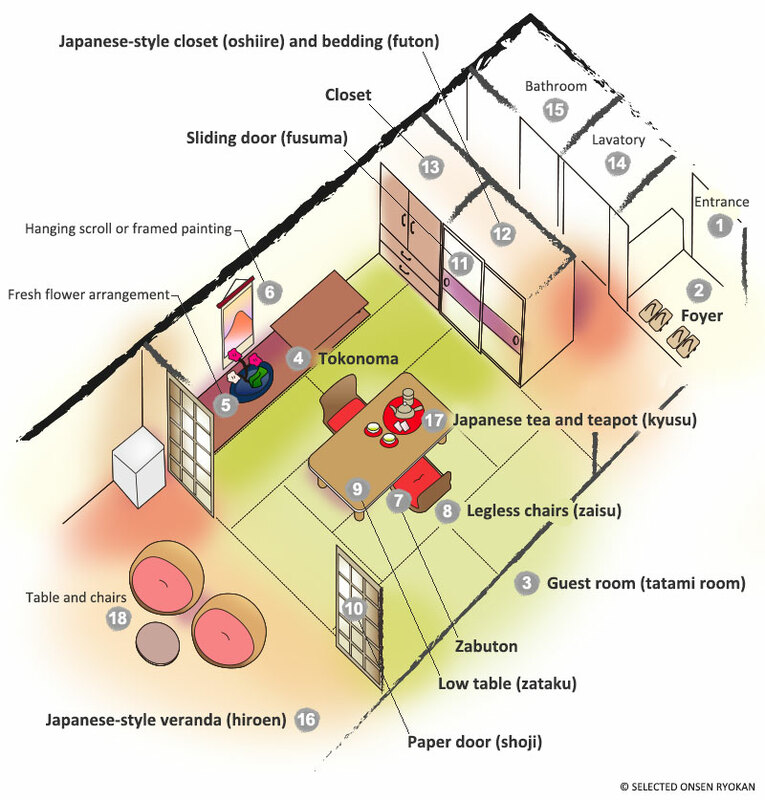 Another style called “wa-yo-shitsu” (Japanese-western rooms) consists of a washitsu portion and a yoshitsu (western room) portion in the same room. Wa-modern and wa-yo-shitsu provide good choices for people with weak legs and back, or people who want to sleep on a bed instead of a futon, so you don’t have to worry even if you are not used to washitsu. You can choose from washitsu (tatami rooms), Japanese modern rooms, and Japanese-western rooms when making a reservation.